At the Tile House all patients have a named accountable GP, who is responsible for your overall care at the Practice, if you do not know who this is you should contact Reception who will be able to tell you, if you have a preference as to which GP this is we will make reasonable efforts to accommodate your request. 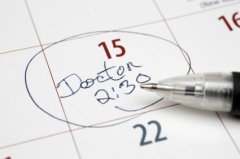 To maintain continuity of care we prefer you to see your own doctor for routine appointments whenever possible. 80% of appointments are routine pre-bookable, this means that there are now more routine appointments available so that you can be seen by your own doctor, these are now all 10 minute slots. To book one of these advance routine appointments please ring at any time between 10:00 and 18:30. However, if you have a medical emergency which has occurred within the last 24 hours and you feel that you need to be seen by a doctor on that day, please ring the surgery at 8am, you may be booked into one of our emergency slots or your details will be taken and the duty doctor will ring you to discuss your symptoms and to decide if you need an emergency appointment, if you require an emergency afternoon appointment please ring at 1.30pm as these are not released until then, and these are limited. The telephone lines can be very busy especially early in the morning. If possible, for non-urgent matters, please telephone after 10:00. Whilst we encourage our patients to come to the surgery, where we have the proper equipment and facilities available, we do appreciate this is not always possible. In this respect, if you do need a home visit, you must ring us by before 10:00 on 01277 227711. 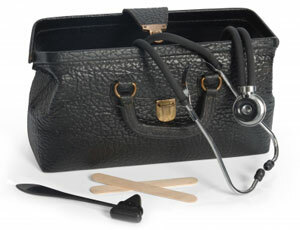 All requests for home visits are triaged by our morning duty doctor to determine if you need a visit or not. Requests for non-urgent home visits can be made in advance. Acute Home Visiting Service - this is a new service in Brentwood funded by the CCG and run by BB Healthcare Solutions - when you request a visit you may receive one from this service and not by one of the Tile House Surgery doctors, this can either by a GP or an Advanced Nurse Practitioner whichever is deemed most appropriate. You will be advised if your visit is going to be undertaken by this service at the time that the Triage duty doctor speaks to you. These visits can take place anytime between 9am and 6pm.